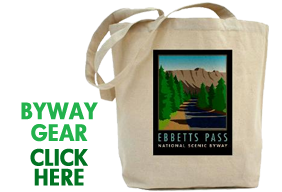 The Ebbetts Pass National Scenic Byway provides access to a multitude of outstanding year-round recreational opportunities. During the warmer months, the byway visitor may enjoy numerous outdoor activities such as hiking, backpacking, camping, bicycling, picnicking, horseback riding, geocaching, flatwater and whitewater canoeing and kayaking, fishing, hunting, and rock climbing. In the winter, the midsection of the byway route is transformed into a winter wonderland, offering opportunities to enjoy the great outdoors in exciting new ways, astride downhill or cross country skis, snowboards, snowshoes, sleds or snowmobiles. 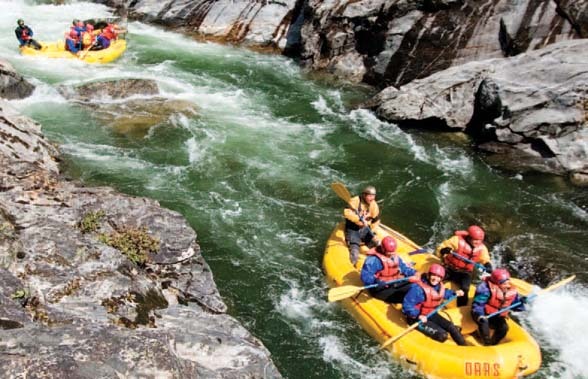 Whatever season you visit, you can experience the finest and most extensive outdoor recreation available anywhere in the high Sierra region. 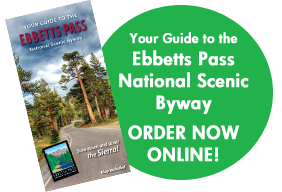 With its unique twist, turns and breathtaking scenery, the byway is an excellent venue for car clubs, photography workshops, plein air painting, and a wide variety of groups wanting to take in the sites. See car club icons on Points of Interest for areas with ample parking.